ADVANTICSYS successfully completed an ambitious project in Georgia, a country at the crossroad of Eastern Europe and Eastern Asia with major hydroelectric resources exploited mostly by Georgian State Electrosystem (GSE) , a hundred percent state-owned company that seeks to increase the reliability of substations to improve and secure energy supply to companies in the country while reducing costs. How can we monitor the substations status, with real-time detailed information? ADVANTICSYS has developed a monitoring system able to acquire and transmit data of all substations this energy giant has in the region of Kakheti and send them to the control center, located in the capital city Telavi. 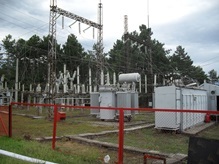 With aging substations, with a risk of blackouts and increasingly higher maintenance costs, GSE sought ways to improve its operation, a feasible goal through remote monitoring, which can process, display and archive the data into HMI (Human Machine Interface), with simple graphs with information on the status of the stations through, for example, Single line diagrams. ADVANTICSYS proposed an all-in-one solution (including hardware and software) through the use of MPC devices (Multi Protocol Controllers) , comprising communication protocols – ranging from measurement of voltage, current and power, to the circuit breakers status – providing a full overview of each substation, with more than 50 simultaneous measurement points. Thus, thanks to the MPC controllers, information registered by all sensors is integrated and transmitted to a control center via a secure GPRS virtual private network. In order to avoid communication losses due to power failure, the controllers are equipped with a back-up battery that provides extra reliability to the system. In terms of software, ADVANTICSYS developed a tailored edition of the Concordia software platform with an interface suited to the needs of Georgian State Electrosystem, with a fast and secure data base with regular backups, a user-editable SCADA, automated generation of alarms and system events, access to historical data and multiple languages support, including kartuli, official language in Georgia. All integrated in their web server, avoiding the need to install any special software to view the data. The company, founded in 2009 by a group of engineers with over ten years of experience in the industry, currently has 16 employees and sells its solutions in 35 countries in Europe, Asia, Africa and America. It has started its international expansion with a subsidiary in Chile. ADVANTICSYS provides remote monitoring systems based on wireless sensor networks and industrial monitoring equipment with applications in areas such as processes control in industry or environmental monitoring.